The American Rootwork Association (ARA) is an evolving coalition of practicing rootworkers, scholars, scholar-practitioners and tradition-keepers interested in formalizing the study of rootwork, rootdoctoring and related folk traditions as serious areas of scientific and cultural inquiry. The ARA seeks to unify practitioners, practitioner-scholars and academics by raising broad questions, fostering the emergence of new areas of inquiry and examining the structures and conditions that influence rootwork as an expression of contemporary culture. 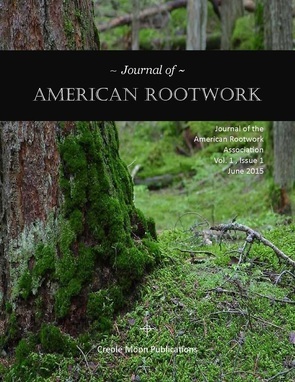 The ARA publishes the Journal of American Rootwork once a year that addresses rootwork in contemporary culture, its expression on the internet, the history of rootwork in the context of slavery, and the teaching of rootwork, rootdoctoring and related folk traditions as formal areas of study. The American Rootwork Association (ARA) offers practitioners, practitioner-scholars, tradition-keepers, academics, researchers, linguists, archaeologists, anthropologists, ethnologists and anyone interested in the formal preservation of American rootwork a presence and voice in the discipline, allowing them to put their accumulated knowledge and insights to significant use. Select a main topic from the navigation bar above, or use the section drop-down menu to select a specific page within the section.